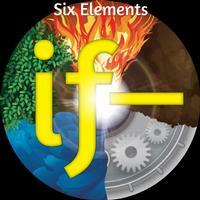 Six Elements’ album Primary Elements is a progressive rock tale inspired by Rudyard Kipling's poem. That bit of literary prowess serves both as the title track of this EP and the centerpiece of their album Primary Elements. In addition to the afforementioned song and its seeming companion “Summer,” instrumental and alternate cuts are provided here. This is one interesting prog band, with traditional romantic factors of the Russian persuasion. Excellent guitars are blended with flute, clarinet and superb vocals, including Betty Seth on the duet “Summer.” Both tracks are absolutely compelling, along with the alternate versions on offer. It all rounds out to a worthy product and then some. It serves as a high recommendation for the Primary Elements album, where the two initial tracks are surrounded by others. This is quite the little epic masterpiece indeed, as a piano motif sets things up and it does almost sound like Peter Gabriel himself is singing, but in such a good way. A flute melody comes in that is so familiar sounding it could be a traditional arrangement. This includes a mesmerizing solo a little further into the track. The piano chords sparring with the flute is another delightful treat here. 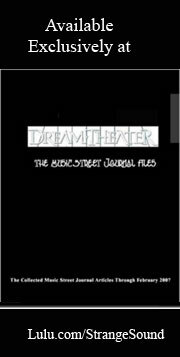 The lyrics are well put together and comprehensive concerning the storyline. “And which is more / You'll be a man my son” - brilliant! This is sung in a lower register with an acoustic guitar and vocals shared by Betty Sent and Stanley Whitaker. They blend together perfectly on this beautiful duet with a very cleverly delivered interactive conversation. It gets more operatic as it goes, which increases the enjoyment along with it at every point. More flutes are applied and the whole track becomes electrifying and then goes back into subtlety. The lyrics from the two wind up the storyline. Both tracks are evenly brilliant but this is perhaps even more majestic as they're formatted together. This is the album cut version with a little shorter running time, nothing else to describe except that it's edited. A chance to hear these as instrumentals is a featured touch to the whole release, as they're very welcomed in this format They really breathe without the vocals. And here the underlying guitar bites harder and stands out much better. Once again this is just the same thing edited. More comes to life again when you hear it this way. The differences just seem to really come out and the whole thing is just as satisfying as the original version. It should be noted again that the guitar stands out more here without the vocals. Now this is definitely a different way to approach these tracks, as the vocals only are heard but with all of the musical gaps between are complete silence. This is a very different way of hearing a song. Somehow it entices nevertheless and works wonders in getting the story across. The double tracking stands out much more as well. It is just very interesting to hear these takes, and this duet works just as well as the previous track's version. By the time it's over this is a great EP with every second enjoyable.